The use of GPS devices in fell races is under question, which side do you fall on? Unless you have been hiding under a rock for the past few months or else are lucky enough to not have an internet connection, it can’t have escaped your attention that there has been something of a furore (a ruckus even!) over changes or proposed changes, to rules surrounding the use of GPS devices in fell races. The debate has, arguably, been a long time coming as the growth in popularity of GPS enabled devices and their availability has meant every start line now rings to a chorus of beeps from the off. The first rumbles were quite muted, with a general discussion on the FRA (Fell Runner’s Association) online forum. Initial statements from the FRA committee were fairly open to the use of the devices, pointing out that (particularly) Champs races are rarely a matter of navigation. This stance was soon put into question when the first counter in the British Fell Champs turned into a very definite navigation exercise in thick clag over the often featureless Mourne Mountains. Several clubs had already made their position known, though only on race entries as opposed to a public statement, with CFRA (Cumberland Fell Runners Association), organisers of Wasdale and Ennerdale among other races, stating that GPS devices may be carried but not used for navigation. It was Ambleside AC who fired the first major salvos across the bows of the fell running world though, with a thorough and detailed public statement laying out what they believe the effects of these devices are on the sport of fell running and the rules under which all their future races will be conducted. 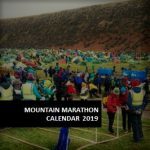 This triggered a landslide of responses from all corners of the hill, fell and mountain running world with thousands of comments and replies across social media and online forums. The debate even made headlines nationally, being picked up by The Telegraph among others. A GPS device can be the difference between getting a bit lost then finding your way back home safely and getting completely lost, off course and left exposed on a hillside with potentially fatal consequences. GPS just represents one more advancement that will be inevitable absorbed into the sport, just as lightweight kags and sticky rubber were. All runners are required to carry map and compass under FRA rules but how many actually know how to use them? There is no way of checking if they do or not, yet they are allowed to enter races. There are plenty of orienteering races if you want a navigation challenge. These devices are so cheap now (and most phones have it built in), anyone can have one. It will be impossible to police. All those that enter races sign a declaration that they have the necessary skills to get themselves around the course safely. If they do not have these skills and require a GPS to do it, they should not be entering the race. As Ambleside point out, these rules apply to runners vying for 1st, 5th, 50th or 500th place as it is the runners around you that you are racing, even if you’re not troubling the podium. The current position from the FRA is that it is up to the RO’s discretion to ban the use of these devices in races but the requirement to carry map and compass remains unchanged. The matter is currently being discussed and any amendments to current rulings will be published in the next issue of the newsletter. No doubt the AGM in August will see some lively debate too! The challenge for the FRA and Race Organisers is balancing safety of competitors while still preserving the spirit of the sport and ensuring a fair playing field. Follow a pre-loaded so-called breadcrumb trail (i.e. set points previously run or plotted that lets you just follow the arrow on the watch face). Preload checkpoint locations onto your device. HOW OMM MANAGES GPS USE. 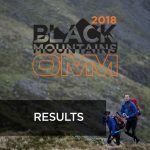 As for our position, it remains unchanged; The OMM is an all-round test of mountain skills, a very big part of which is a competitor’s ability to navigate their way (as a team) around a series of checkpoints, using a map and compass. This was the spirit in which the event was founded 51 years ago, and it remains so to this day. In recognition of the growing popularity of GPS enabled watches and phone apps, we do state that they may be carried but not used for navigation. If they are used for navigation, it must only be in an emergency, in which case you will be retired from the event anyway. The obvious problem we and any race organiser faces is that of policing. How can a RO know if someone is hiding a device and surreptitiously navigating with it? The simple answer is they can’t. Any rules such as these are only as good as the integrity of the competitor. Thankfully, ours is a sport well defined by its spirit of sportsmanship and the general consensus from online discussion was that while it may be impossible to police thoroughly, once the rules are made clear, the spirit of the sport will prevail, and the vast majority of competitors will abide by them. Those that don’t or are tempted not to will only really be cheating themselves and run the risk of being dobbed in by fellow competitors. Whatever the ruling from the FRA and whatever the future developments lie in store for fell running, we just hope the spirit of the sport and the sense of fair play that attracts so many of us to it, is preserved. Postscript: For an interesting discussion on this matter (and a variety of other subjects!) check out the Kong Adventure ‘Running Talk’ Podcast here. The poll is now closed. Thank you for you responses you can view the results following the link below. You are welcome to download a copy to use elsewhere.